Believe: I'm all Flutter for You!! I'm all Flutter for You!! Hello friends!! I hope you enjoyed Crafter's Companion on HSN last Tuesday! The show was amazing and few of the fantastic products are still available! I shared some of my projects on Facebook, but now I am sharing them with you, some are still available, get them before they are gone. This is a Diorama White card, I create a fun back background with Watercolor paper and Spectrum Aqua Markers! Added ribbon and twine to decorate the side and the diorama card was done!! WOW! WOW! WOW! How has no one commented on this post! It is an absolutely stunning beyond words! 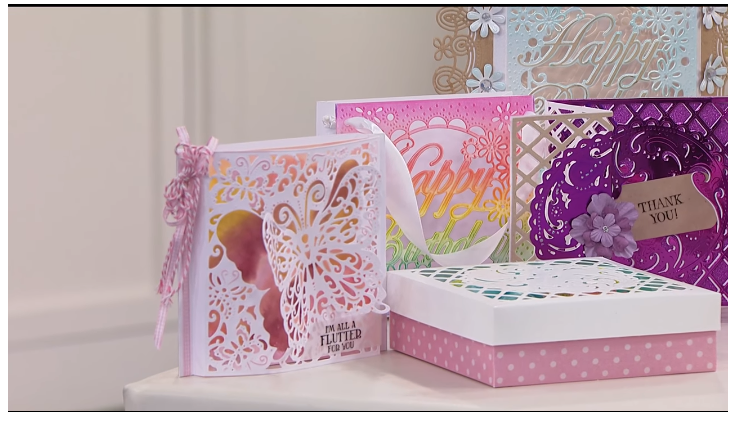 Crafter's Companion and HSN shows! !